A beautiful top quality pillar with modern European style. 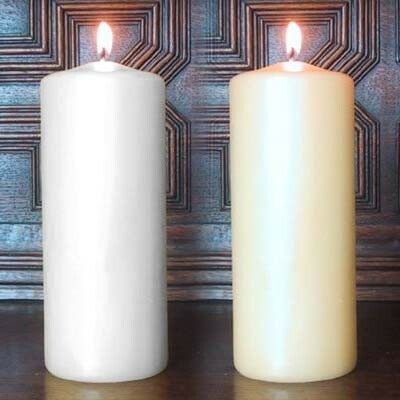 Ideal size and fits most Candelabras. Available in bright white or subtle ivory. 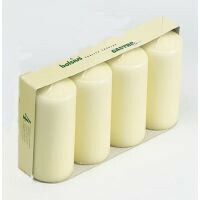 Pack of 4 Euro Style Pillar Candles premium brand. Weddings, restaurants, bars, spas, home, hurricanes. A beautiful top quality pillar with modern European style. Ideal size and fits most Candelabras. Each pillar burns for a minimum of 65 hours.